We have known for quite a while that Vitamin D is a potent pro-hormone in the body, responsible for many beneficial effects. One of these effects is cancer prevention. Furthermore, the developing science is that it can prevent RECURRENCE also! The best plan is to maintain Vitamin D levels before any cancer is evident, but new research shows that higher levels achieved as soon as possible in the disease process can improve prognosis in the fight against cancer. Here is a backgrounder video which you should pay very careful attention to. It covers soup to nuts about Vitamin D in terms of disease prevention as well as cancer per se. Following this, we will get into the newer research studies which demonstrate that higher Vitamin D in the blood and tissues improve cancer prognosis. Vitamin D and Cancer-New Information! Get our free email newsletter at: http://www.ihealthtube.com/content/newsletter Recent studies are showing the benefit of vitamin D levels and a couple of the most common cancers. Learn more about the connection! Also, learn about a food that's been found to dramatically lower blood glucose levels! We now know that the original Institute of Medicine and RDA recommendations of Vitamin D supplementation were kind of low. The concept was that “you can get this from the sun”. The problem is that up to one third of individuals living in the sun belt are still deficient. Why? Well, to some extent the prudent use of sunscreen, to avoid skin cancer and mainly the deadly melanoma, cuts out about 95% of skin production of Vitamin D. Imagine what this is in the “non-sun belt” regions of the world. Supplementation appears critical. What level is ideal? This is not clear but if one can get to a blood level of 35-40ng/mL (90-100nmol/L) the cancer prevention is about 35%. So, to some extent more is better and some advocate getting to 50ng/mL or more. For the short term, especially when fighting cancer, this may be OK. However, there is also some scientific evidence that very high levels over a prolonged time period can actually CAUSE cancer. So, some caution is warranted. 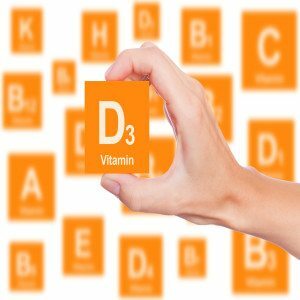 New research from the Institutes of Natural Sciences at the Shanghai Institutes for Biological Sciences in China showed that every 10 nmol/L increase in blood concentration of Vitamin D were linked to a 4% improvement in cancer survival. In a second study in prostate cancer patients, lower Vitamin D levels at diagnosis were associated with a much more aggressive variant of disease. In fact it is felt that lower Vitamin D in prostate cancer can be a biomarker in that disease. This finding was real was after adjusting the statistics for other risk factors like smoking, family history, diet and calcium intake. In other words, it was a very real association and likely a cause effect mediator in some way. This could be the case for other cancers as well, but not clear yet. The very best plan is prevention. Second best plan is pump those Vitamin D levels up if you have been diagnosed with cancer. The association with prognosis is not totally clear, but it appears very positive and the risks are very low. The best approach is to get your blood tested for Vitamin D. After that it becomes obvious how much is required to increase your circulating levels of Vitamin D.
200 IU (5 mcg) per day increases vitamin D blood levels 2 ng/ml (5 nmol/L). 400 IU (10 mcg) per day increases vitamin D blood levels 4 ng/ml (10 nmol/L). 500 IU (12.5 mcg) per day increases vitamin D blood levels 5 ng/ml (12.5 nmol/L). 800 IU (20 mcg) per day increases vitamin D blood levels 8 ng/ml (20 nmol/L). 1000 IU (25 mcg) per day increases vitamin D blood levels 10 ng/ml (25 nmol/L). 2000 IU (50 mcg) per day increases vitamin D blood levels 20 ng/ml (50 nmol/L). On average I tell patients they should be consuming about 1000-2000IU per day unless they were severely deficient to start. However, the main point is that the dose should be adjusted based on the lab levels. Vitamin D can be metabolized differently and consumed variably in any given individual, so it takes careful adjustment rather than randomly adjusting the dose too high or too quickly.